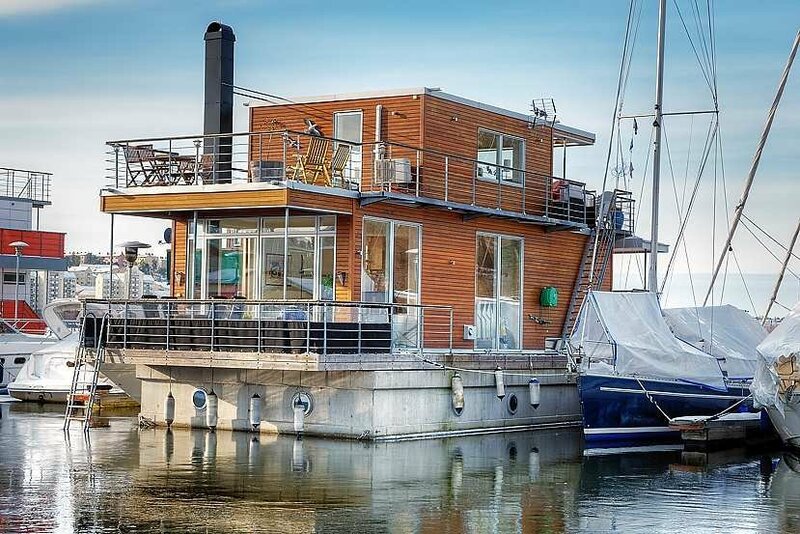 Spotted on ESNY, this nice floating home is located in the Pampas Marina, just a few minutes away from Stockholm´s city center, Sweden. This AquaVilla features several sun decks and terraces and oversized windows to enjoy the beautiful scenery that the Stockholm water world has to offer. 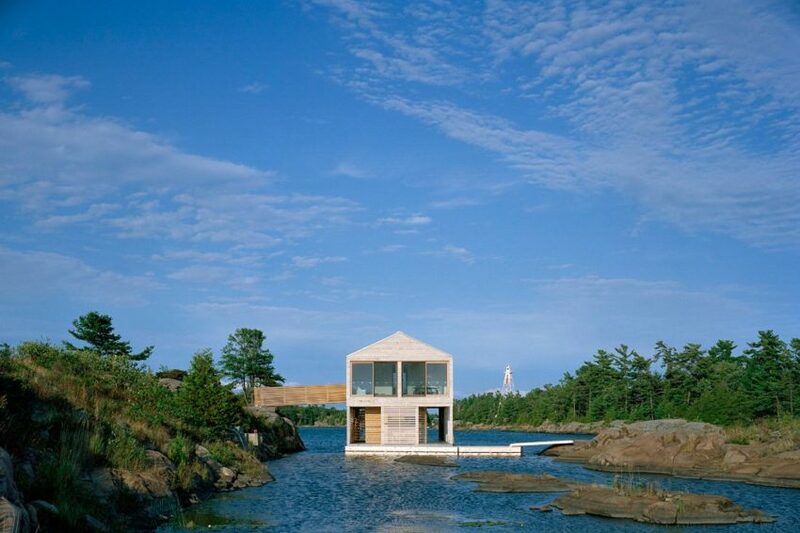 New York-based studio MOS Architects has completed the Floating House project in 2005. Floating (literally) on the water, this two story contemporary cottage is located on the Lake Huron, Ontario, Canada. 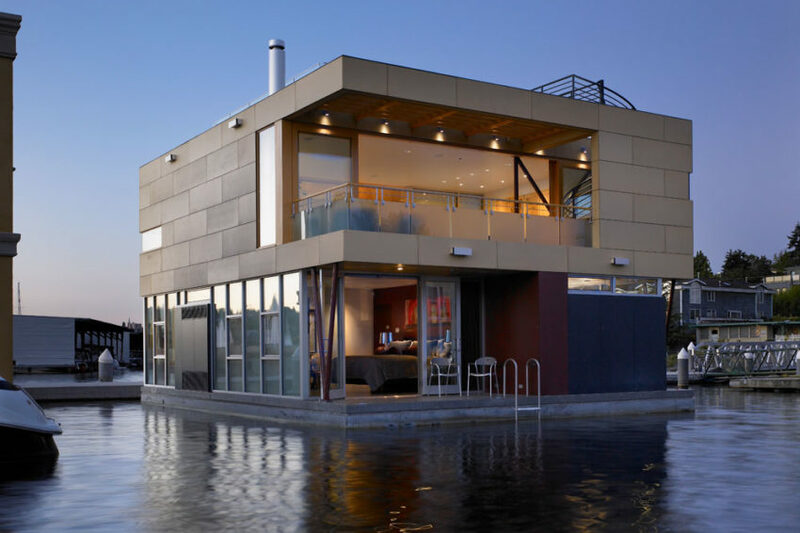 Vandeventer + Carlander Architects has completed the Lake Union Floating Home project in Seattle, Washington. Completed in 2007, this 2,866 square foot floating home offers three bedrooms, three and a half bathrooms plus a 850 square foot of terraces and roof deck!